Nick graduated from Edge Hill University in July 2010, gaining an honours degree in English, specialising in linguistic research. 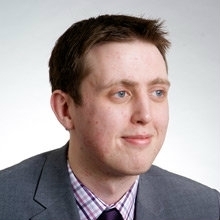 Nick joined Wirral Sensory Services in February 2011 and works on one of our major client accounts, with responsibility for product reception and report generation, as well as test preparation and supervision. © Wirral Sensory Services Ltd. All Rights Reserved.